The proofreading and editing process is not a one-person job. If it was, top reporters and journalists wouldn’t need a copy desk at their paper, and authors would just send their manuscripts to be published. Even if you don’t have a lot of time before your deadline, you can still make your application look more professional and reflect your best attributes. We think that there is value in getting a professional business editor to look over your resume and cover letter before you send your application package to a top management consulting firm. This site and our work have benefited from top-notch writers and editors who help us make our writing crisp. Freelancers are one option, but be sure to ask for samples of work they have done in the past. Also consider looking for business management editors who specialize in the field. If you have done your homework and networked with mentors or other experts in the management consulting field, you should take the advantage you have and ask them to review what you’ve written. They may not pick out the usage issues that others will, but they can point out areas that would confuse a recruiter or keep your application out of the interview file. This works well for people who have already established a relationship with someone in the sector. If you have, be sure to find something thoughtful as a thank you gift. Favors done for you deserve the same follow-up skills you will put on display throughout the interview process. Like other applicants, you may have entered “management consulting vs investment banking” on Google search field. Consultants may wear a lot of hats, so there is clearly an overlap with other corporate sectors. If we were to tell you that there’s a big difference between a theoretical physicist and an electronics engineer, you would understand, right? Let’s back up for a second. A theoretical physicist doesn’t go after the nuts and bolts of a specific system, rather he or she is trying to find an explanation that works in every case. An electronics engineer is the one tasked with providing the practical outcome based on that new theory, as well as the body of work before it. You can refer to the comparison above to resolve the consulting vs investment banking issue. Employees of both industries help companies take their strategies in new directions, but the tactics they use greatly differ. Like research assistants at a top university, i-bankers are not likely doing much different from what they did at university, applying what they know to large quantities of data in order to help a more senior member of the firm prove a case to a client. As they move up the corporate ladder, however, the greater interest becomes in developing a story line of how to make money work better for a firm. This can hold especially true for firms looking to make their growth dependent on mergers and acquisitions. As many management consultants in the early part of their career can vouch for, travel plays a huge role in defining what you do on a weekly or monthly basis. Especially at top firms with many satellite offices, management consultants are expected to come up with strategies on the site with their clients, after meeting with senior and junior staff members. And since we’ve talked about how to master the case interview questions by going through concrete assertions, it makes sense to re-iterate that point. A management consultant’s goal is to come up with creative solutions that take into account what the company has done and move it towards what it can do. Unlike investment bankers, you may find yourself working in divergent departments like helping a marketing team trim excess weight or finding new ways for a human resources department best roll out a new health benefits package. As you look for explanation on consulting vs investment banking, you will not see the main difference at the start, although financial wizards will see the most overlap between the two sectors. But if you don’t feel a pull into the sales and story side of things, you aren’t likely to be happy to remain in investment banking. On the other hand, if you’re interested in starting with concrete building blocks and putting them together in ways that benefit your clients, management consulting is probably the best fit. Don’t assume without experience that one is better for you than the other, but this way you may have a better framework for judging for yourself. Get a better understanding on consulting vs investment banking by reading more articles on the Internet. Then if you’re convinced that the former is where you want to build your career on, download this free e-book. It gives you tips on how to go through its recruitment process successfully. What Do Consulting Firms Look For? We often hear the question, “What do strategy consulting firms look for?” This is important knowledge for you to assess where you stand and what to focus on in your application. Also, during the interview, it is important for you to emphasize your key strengths (your “spikes”). Read more about the required skills below. A great place to start is always at the website of the consulting company. For example, McKinsey look for skills in problem solving, achieving, personal impact and leadership. We believe that the following characteristics are the most important ones: thinking and problem solving, business sense, communication skills, personal impact, team skills, drive and motivation. Read below our take on each of these. You need in some way to show that you have a clear and structured way of thought. This is useful for problem solving and analyses. Also, math skills are usually important. Once you start your consulting career, you do not necessarily need to work with the quantitative stuff, but you will need the skills during the interviews. Have a good judgement of business and strategic issues. Develop it by reading business articles and trying to understand the underlying issues behind the different news stories and strategic choices. Because business sense is very important, it ranks second in this what-do-strategy-consulting-firms-look-for list. This one is crucial. Both the written and oral communication skills are important. At this stage you should focus on your oral skills. Be clear and to the point in your communication, and make people want listen to you. This is harder to define. But think about it – sometimes you will be with people who are good at influencing others. As consulting firms look for future leaders, they will look for leadership talent in you. Cooperation with other people is essential as a consultant. You work in project teams and you are surrounded by both clients and your team members. Getting along well with them is a requirement to finish your project effectively. Teamwork is apparently one of the answers to the what-do-strategy-consulting-firms-look-for question. Know what you like and go for it. People should have a feel that you are motivated for what you do, and you have a great drive. Even when the going gets tough. We believe that these are the key characteristics. Try to consider a bit how you can develop these, and how you can show that you posses these skills. Have some good stories ready for interview and practice, practice, practice! 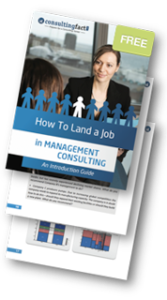 Now that you are aware of the answers to the question, “What do strategy consulting firms look for?” it’s high time to have a look at our free PDF guide on how to land a consulting job. 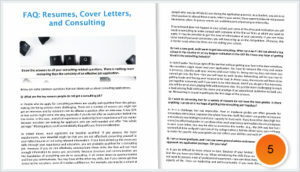 Writing your cover letter is the first step to a career within a top tier management consulting firm. Your cover letter is not as important as the resume. However, it is still important that you make it professional and sell yourself in a best way. Read more to get tips on how to write great cover letters. Proofread once and do it once more! Make sure that your letter is grammatically correct and without typos. Also, double check all firm names, people’s names and addresses. Consulting cover letter mistake number one is to include the wrong consulting firm name – say sending a McKinsey application to Bain. This will not land you the interview! Sending generic consulting letters will lead to failure. You need to take the time to customize your cover letter by including firm specific details. This sends a strong signal of true interest. The cover letter is your chance to sell yourself. Remember that top tier consulting firms look for extraordinary people, hence the reader should be left with that impression after having read your cover letter. State the facts i.e. your skills and your qualifications and do not exaggerate them. Moreover, let the employer judge your skills. It can appear arrogant and presumptuous to conclude that you are the best person for the position. Impress the reader with your skills and let him or her reach his or her own conclusions. Use your network and let another person read your cover letter and then give you feedback. It always helps to have a “fresh set of eyes” look it through before submitting. Bain has been consistently ranked as #1 best consulting firm to work for. Since their reputation attracts plenty of competent applicants, you should put your best foot forward. Start by submitting a Bain cover letter that conveys your knowledge, skills and passion for consulting. Start building your career at Bain by crafting a superior Bain resume that details your relevant qualifications section per section. Remember that Bain uses a points system to objectively measure a candidate’s educational attainment, experience, skills and other activities. Many employers believe that a well-crafted cover letter decreases the chance of inviting an incompetent applicant for an interview. Given this fact, it’s recommended that you refer to surefire tips and concrete examples on how to write each paragraph of an outstanding cover letter. 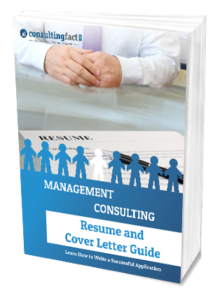 Your management consulting resume should contain relevant and structured information to get the attention of recruiters. This document represents who you are–your achievements, capabilities and career drive. If it only lists superficial facts, it suggests you can’t bring value to the firm. When writing a McKinsey cover letter, focus on highlighting experience and achievements that are relevant to any of the firm’s general qualifications: problem solving capability, sense of achievement, ability to create an impact, and leadership skill. McKinsey based their preliminary screening on resumes. Thus, if you’re planning to break into this firm, tailor your resume relative to their goals. Include quantified accomplishments and other substantial information that define your communication, leadership and problem solving skills. 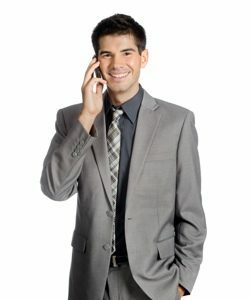 Management consulting firms conduct a case interview to determine if you’re capable of analyzing business issues and communicating your out-of-the-box ideas to clients and other team members. Since this interview is inevitable in this industry, learn the best ways to practice for it. Most aspiring consultants say that the case interview is the most daunting stage of the consulting recruitment process. They also add that sufficient preparation is the most effective key to acing a case interview. It may take much time, but it’s the best way to be equipped for the challenge. Consulting firms conduct fit interviews to determine if the candidate can perform smoothly in their work environment. Since this is a major consideration, ensure you prep for this type of interview. Start by knowing and answering the common behavioral questions interviewers use. This sample business case gives you a mental picture on how to analyze and resolve a problem during a consulting interview. It revolves around a private equity firm that hires your advisory services to determine if acquiring a leading US crane manufacturer is a good investment. Consultants need to acquire computer skills in order to improve their productivity and efficiency. They should be able to use task management tools, office applications, and data sharing software, among others. Those with inadequate computer skills often find themselves trailing behind. When consultants leave the industry, they bring with them meaningful experience that qualifies them for various roles. Some establish their own start-up companies while others pursue corporate or government roles. Getting an MBA degree is also an option for some professionals. Is there a chance for professionals without a business or management educational background to land a job in the consulting industry? Yes, but these career shifters must double their effort to make up for their lack of substantial knowledge, skills and experience. Before applying for any consulting job, know what consultants do, how they work in a team, how they are compensated, and what criticisms they have to bear with. Adequate knowledge about the role lets you ponder if you fit the opening, and how far you’ll go in the industry. Aspiring management consultants like you should start learning industry terms as soon as you realize your desire to pursue a career in McKinsey, Bain, BCG, or other firms. This allows you to blend in the work environment competently and understand your colleagues’ message accurately. Work-life imbalance has always been an issue in the consulting industry. The perks consultants enjoy come with disadvantages that result to burnout, lack of quality time with the family, and long work hours. There are, however, concrete ways for minimizing daily stress in the workplace. MBA may not be a basic requirement to get a consulting job, but this degree can put you at an advantage. Getting an MBA degree allows you to deepen your business knowledge, enjoy a wider network, demand a higher salary, and strengthen your consulting skills. Consultants should possess excellent communication, logical thinking, teamwork, and interpersonal skills to be able to perform their duties satisfactorily. Moreover, they are expected to consistently deliver excellent work output since they represent their firm to their clients. How do consultants generate creative solutions and practical recommendations for organizations? How come some employers prefer to hire them than to make use of internal staff for issue analysis? It must be the way consultants think and what they believe in. Despite the lavish perks management consultants enjoy, many still decide to quit their challenging and fulfilling job in search for better work schedule, quality time with the family, or other career opportunities. Know the detailed reasons for their resignation. The competition for management consulting positions at top-tier consulting firms such as McKinsey, Bain, BCG, and Booz is tough. Only a small fraction of applicants land a job after going through the gruelling recruiting process. Does your application stand out? Your resume and cover letter need to be superior to your competitions’. Remember, you are competing with the best of the best. Our Guide to Consulting Resumes and Cover Letters will guide you step-by-step in how to write an impressive, eye-catching resume and cover letter. The guide also contains several samples so you can get started right away! Read more about the guide below and download it today. We help many applicants prepare their applications for top-tier consulting firms. Over and over we see lots of issues that make it almost impossible to land a consulting interview. You wouldn’t believe the level of competition to land a consulting job at one of the top-tier firms, such as McKinsey, BCG, Bain or Booz. Unfortunately, it doesn’t take much for your application to be trashed by the recruiter. Below are the typical challenges that applicants face and how our Resume and Cover Letter Guide will help you solve them. How our guide will help you? Not knowing where to start, because you feel overwhelmed to write a cover letter and resume for such a competitive job Providing a step-by-step guide that will have you started immediately. We will advise you section by section and provide you with examples, both good and bad.For example, we go in-depth with the first section in your cover letter, which is very important. Not being sure whether your background, education, experience, and skills are enough to land an interview Most applicants underestimate or forget to include parts of their background that are essential to an effective consulting application. Sure, it will be easier for you to get a job at McKinsey if you are a Harvard MBA graduate, but you can still get a job at McKinsey even if you are not; therefore, you need to include all relevant information in your application.This guide will help you identify your educational achievements and show you how to highlight your experience and skills. How you communicate these in your application is extremely important. We provide you with many practical examples so you know what works and what doesn’t. Writing a boring cover letter that does not create any impact with the recruiter Cover letters are your chance to tell a story.Especially if you have some shortcomings (like a low GPA), then it is absolutely crucial that you demonstrate other skills and abilities that compensate for your shortcomings. We will help you write cover letters that stand out and tell your story about why you are the perfect fit for consulting. There is some work you need to do before you even start writing. We will explain the consulting recruiting process, how you can increase your chances by doing proper networking, and we will deep-dive into the skills and characteristics that top-tier consulting firms really look for. We will help you do a mini workshop where you assess your background and come up with the important selling points that are relevant for a consulting recruiter. This step is very important, and will make it much easier for you to write the application itself. This section will show you the structure of a consulting resume, and help you adjust it whether you are applying in the US or Europe. Then, we will deep-dive into each of the five resume sections with advice and lots of examples for recent graduates and experienced professionals. In this section we will cover all the typical questions we receive about consulting resumes and cover letters, such as the main reasons a consulting application is rejected, the most common mistakes that recent graduates make, etc. This section is one of the most popular in our guide. We will show you five cover letters and five resumes that cover very different types of background for both European and US applicants. You will see how all the information in the book is applied into superior applications. All management consulting firms use business cases in the interview process. In fact, business cases are the key part of the interview. You need to be prepared for various types of business cases, and you should know the important frameworks, when to use them and how. 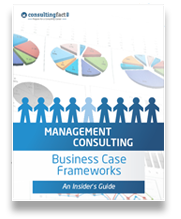 Our guide to business case frameworks will help you structure and solve your case interviews. We will walk you through the important frameworks and how to use them. Read more below. 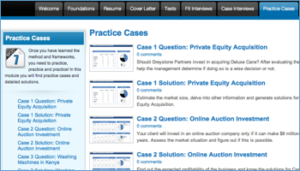 Business cases are a key part of case interviews at management consulting firms. The different cases might sound very difficult, and the interviewer will usually try to make them sound very complex. 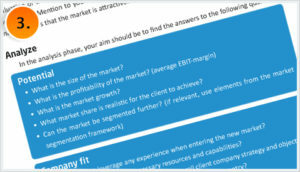 However, all these case questions usually boil down to some very specific types of cases.You need to be able to assess the case question, find out which type of business case this is, and which framework you should use to solve the problem. Below is a list of some of the most common frameworks. 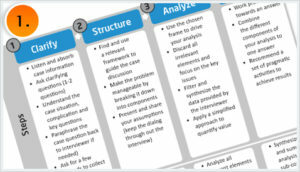 Once you clarify which framework to use, you will quickly be able to structure your analysis. You will feel more confident, and you can use time on the analysis instead of considering what to include. 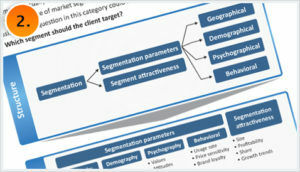 You will spend most of the time during the consulting case interview on the analysis part. You will go through the framework structure and make sure that you do all the necessary analyses. Finally, the framework will help make conclusions based on your analysis. Conclusions in different types of cases usually have some common content. Also, frameworks will help you recommend next steps. 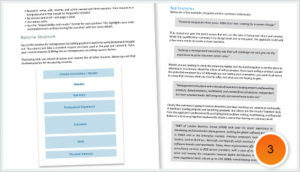 Business cases are a key part of every consulting interview. The interviewer needs to see that you are capable of quickly assessing the situation and choosing the right approach.This guide will teach you when to use the different frameworks. The guide will show you the ten most common frameworks and how to use them. You will learn how to structure every type of business case, how to analyze the case and how to recommend a solution. Key capabilities for a consultant. You will probably spend lot of time on applying and preparing for consulting interviews. Save time by learning exactly what frameworks to use and how to use them. You could spend this saved time on practicing the case interviews themselves. 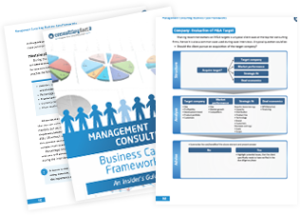 Do you want to break into consulting?Download our free PDF guide, which will show you the necessary steps and best practices on how to prepare. Preparing for a consulting career is a lengthy process, and you should spend your time wisely. This guide outlines your path. To download this free guide, enter your email in the box to the right. Get an overview of the application and interview process when applying to management consulting firms. Receive tips on how to write your cover letter and resume and get prepared for the written tests and interviews once you get there. Learn what you need to practice to receive an offer from one of the top-tier consulting firms. See our step-by-step framework to case study solving, learn how to develop your own frameworks and get mental math tips. 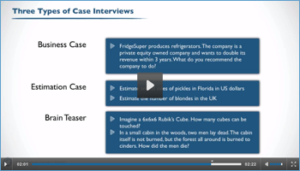 Know what to expect from a case study interview round. Read a real-life case study interview, which includes a variety of topics. 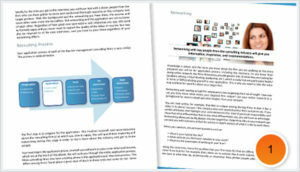 See the practical application of the step-by-step framework to case study solving. Get an overview of the entire application process. Where do you need to prepare? We will give you tips on fulfilling the requirements to land an interview. Case study interviews vary a lot. Learn about the different types. You need to learn case frameworks and we will show you how you can create your own. See how to solve real consulting problems. There is no way around mental math in your interview. Learn how to handle it. 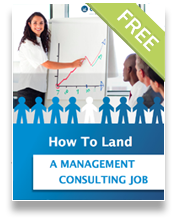 Learn about the whole management consulting job application process. Preparing for a consulting career is a lengthy process, and you should spend your time wisely. This guide outlines your path. Case interviews are the key part of every management consulting recruiting process. You need to be able to solve very different cases. 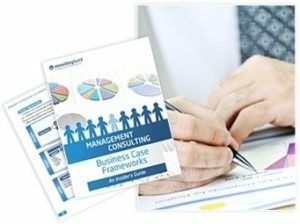 Our guide to Business Case Frameworks will show you which frameworks to use and how to use them. 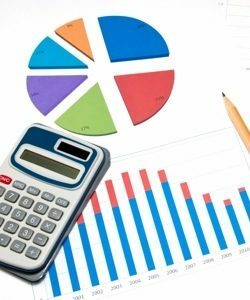 Learn to structure and analyze your business case problems. 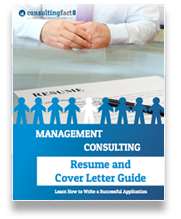 Writing your cover letter and resume is the first step in landing a management consulting job. Knowing what to include and how to include it is a challenge. The competition is stiff, and minor mistakes can cost you the interview. Even if you have a great background. This guide is hands-on and tells you exactly what to do. Are you considering a career in management consulting? You are probably aware that the competition for this type of job is tougher than ever. You will be competing against the best of the best. We can help you prepare for the whole recruitment process. ConsultingFact Academy is an online course that teaches you everything you need to know to get a consulting job: from case interview prep to networking and writing your application. Don’t read old case prep books and spend hours searching the internet for outdated advice. This is an innovative concept with video learning, community interaction, and regularly updated content. Read below the typical reasons why candidates fail to get a consulting job, and how ConsultingFact Academy can help you! Why Do Candidates Fail to Get a Management Consulting Job? Let’s first look at real-life examples and why five candidates failed somewhere in the recruiting process for a top-tier management consulting firm. With their capabilities, they were expected to outshine other applicants. But, they didn’t. Stephen, a promising fresh graduate, submitted his application to a top-tier consulting firm in the city. The recruiter glanced at it, skimmed its contents, found no relevant skills and keywords and decided to discard his application. It made no impact at all. Using a generic cover letter and resume is a huge mistake. Your cover letter and resume need to be specifically tailored to consulting, selling you in a way that triggers the attention of consulting recruiters. 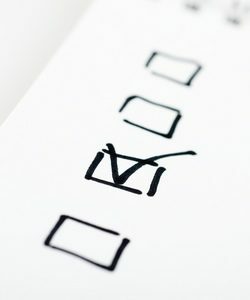 Think of it as a checklist. You need to emphasize the strengths that mentally check off boxes in the recruiter’s “checklist” as she/he glances at your application. Recruiters have short attention spans, and will probably spend less than one minute on your application. Kathleen will soon graduate from an Ivy League institution, backed by top-5% grades and extensive professional experience. Her application is superior, but she did not even land an interview. She didn’t realize how few graduates her chosen firm was hiring this year. Those who were hired had used their networks and built connections within the firm. Most consulting applicants have superior qualifications, and the recruitment process is very professional. However, consulting recruiters are still human. If you demonstrate social proof and get an internal recommendation from a consultant, your chances of landing an interview are much higher. 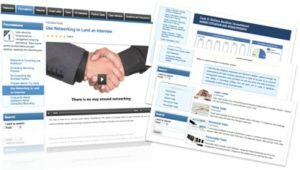 In some consulting offices it is almost impossible to get an interview without networking. Among 100+ applicants, Yan was one of those who landed an interview. He was asked to do a problem-solving test. He started panicking almost as soon as he started answering the first page. He simply forgot how to divide large numbers on paper and answered a few crucial questions wrong. Even though the interview went well, Yan did not get a job offer because of a substandard test score. Getting low scores on tests leads to negative interpretations of your ability to perform problem solving and analysis. These activities make up a large part of everyday consulting life, so a bad test score is a sure way to get turned down. What might be surprising is that this is actually the easiest part to prepare for. You should be able to improve your test score a lot. The recruiter was impressed with Jorge’s application, so he was invited for a first interview round. During the conversation, he fidgeted, stammered and avoided eye contact. Although he did great on the tests and the case interview, the recruiters weren’t sure that he demonstrated confidence and leadership. He was turned down. Lot of factors can destroy your image as being a high-value, confident person. Some of these are improper clothes, communicating self-doubts nonverbally, unconscious tics, such as touching your face, speaking fast, etc. This is one of the main reasons why applicants get turned down. You can do a sub-standard case interview and still get the job if you project confidence. You can do a great case interview, but you will probably not get a job if you don’t appear confident. Edward was in the final step of the screening process: the consulting case interviews. The recruiter presented a market entry case and asked Edward whether a company should enter a new market. Edward didn’t have a great framework and ended up focusing too much on marketing and had no financial considerations. The recruiter was very surprised about the lack of proper focus and turned Edward down. Case interviews are a key part of interviews at all consulting firms. You need to demonstrate great problem-solving skills and the ability to create structure for analysis of cases and presentation of recommendations. After all, this is what you will be doing as a management consultant when you get the job. As we just showed you, getting a consulting job is much more than preparing for case interviews. We have developed ConsultingFact Academy — an online course and exclusive community. The Academy is an innovative concept that will prepare you and push you toward getting your dream job. Read below more about ConsultingFact Academy. We will cover the whole process – everything you need to know. How to network, write a cover letter and resume, prepare for tests, do the case interviews, and the fit interviews. Don’t worry – we still have many cases for you to practice. There is a lot of material to read and videos to watch, all based on real-life experience and interviews with consultants. Learning should be fun even for a serious business career like management consulting. A part of ConsultingFact Academy is video-based, making it easier to learn. Take a break from the monotony of reading for hours. Community and peers are a great way to push yourself. ConsultingFact Academy is not only an online course, but is also a way to connect with other applicants. You can easily schedule mock interviews, share the benefit of your experiences and help each other. 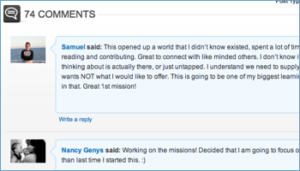 You can easily comment on all our content and discuss with others. This is more fun and interacting with others is the best way to learn. Consultants in the real world are action-oriented, not theoretical. Why, then, are most prep books for your future consulting career so theoretical? We want YOU to take action. 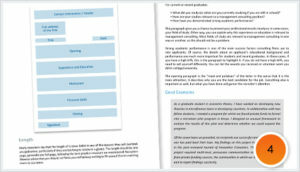 The material in ConsultingFact Academy is based on actionable advice and guides to help you DO stuff and make progress. Not just theory and abstract explanations. ConsultingFact Academy is not just a book you buy. This is a subscription to a membership club that is updated frequently. 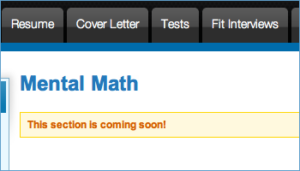 We are continuously updating our content, adding more cases for you to practice, and we are also working on a module in mental math (a very helpful skill in the recruiting process). You can access ConsultingFact Academy anytime and anywhere. No need to bring bulky books and manuals with you. 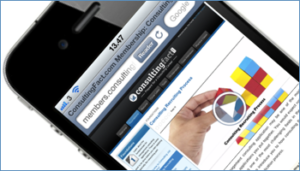 Learn about consulting on the go! Knowledge will be at your fingertips. You can access our course from iPhones, iPads and other smartphones and tablets. ConsultingFact Academy contains seven modules. They are arranged conveniently to make it easy for you to track your progress. You will gain access to all content, so you can focus on modules that are important to you. This module contains the information you should know before you send your application. We will address the application process, key success factors, and why networking is so important. You will also learn how to network properly in a detailed networking course. 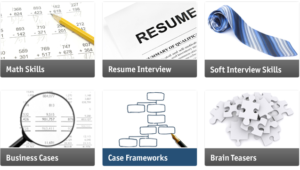 Module 2 outlines and elaborates all sections of a superior resume. It also teaches you how to highlight strengths in this powerful self-marketing tool. 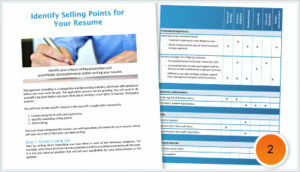 You will see good and bad examples throughout this module so you can quickly start writing your own resume. In this module, we will give you guidelines on how to qualitatively present your credentials in a cover letter. We will show you what and what not to include through easy-to-understand examples. The cover letter is very important as it demonstrates your written communication skills – one of the key success factors. Module 4 consists of videos about various tests. 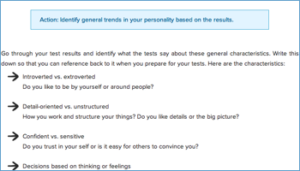 Some consulting firms will require you to take several tests. We will deep-dive into numerical reasoning tests, verbal reasoning tests, logical/abstract reasoning tests, as well as personality tests. This module will help you prepare for these tests and improve your score. In fit interviews you need to demonstrate your personality, experience and your career plans. You will learn how to present yourself properly and avoid the typical mistakes. We will guide you through typical interview questions and answers and help you avoid the trick questions. Finally, we will help you present yourself confidently. 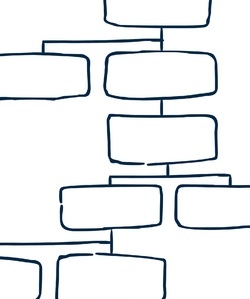 This elaborates the nature of case interviews, their structure and type. You will learn all the necessary steps on how to solve a case interview in a structured way. We will also present ten of the most common frameworks used for case interviews. These frameworks will help you feel more confident and focus on analysis and recommendations. Practicing cases in mock interviews is very important. The whole of module 7 contains nothing but practice cases. We will show you real-life cases accompanied with charts and other supporting data. Forget text-cases from case text books – consulting firms don’t present cases like this anymore. We will walk you through answers and explain in detail how to answer the cases.